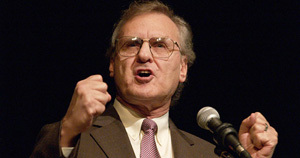 A former politician, diplomat and aid worker, few people have witnessed the fight against HIV from as many international vantage points as former UN Special Envoy for AIDS in Africa, Stephen Lewis. Now co-director of the international advocacy organization, AIDS-Free World, Lewis spoke to IRIN/PlusNews about the direction of the international response to HIV. The fight against HIV is at a very difficult moment, there’s no question and for two reasons. First, the decline in funding could be truly catastrophic by or before the end of this year. Western governments, which are reducing their contributions to the Global Fund to Fight AIDS, Tuberculosis and Malaria, and the United States, which is flat-lining the US President’s Emergency Plan for AIDS Relief, do it all on the ostensible rationale of the financial crisis but that’s just utter nonsense. There’s never a financial crisis when you have to bail out the banks or provide a stimulus package… there’s only a financial crisis when you’re dealing with global public health and putting people at risk. We have 10 million people who require HIV treatment urgently and there is no guarantee we’ll be able to roll out the drugs fast enough to keep people alive. There are already many projects in Africa that cannot enrol new patients. This is preposterous. It’s happening in Malawi, it’s happening in Uganda, it’s happening in Zambia, and there are drug stock-outs. It’s becoming increasingly clear that the hazard of cutbacks financially is putting more and more lives at risk. The other factor: there is a determination to expand the portfolio of health interventions in a way that is prejudicial to the work on HIV and AIDS. HIV is possibly the worst pandemic in human history – 30 million people dead, 33 million people infected… 15 million orphans – how in God’s name is [this] not exceptional? That doesn’t mean that other things should be prejudiced by AIDS… no one who works on HIV and AIDS would deny funding for maternal and child health or for non-communicable diseases… You have a moral obligation to enlarge the pie to encompass all the requirements of health and what [funders] are doing in a kind of Pavlovian, unthinking way is to fail to analyze the overall needs.